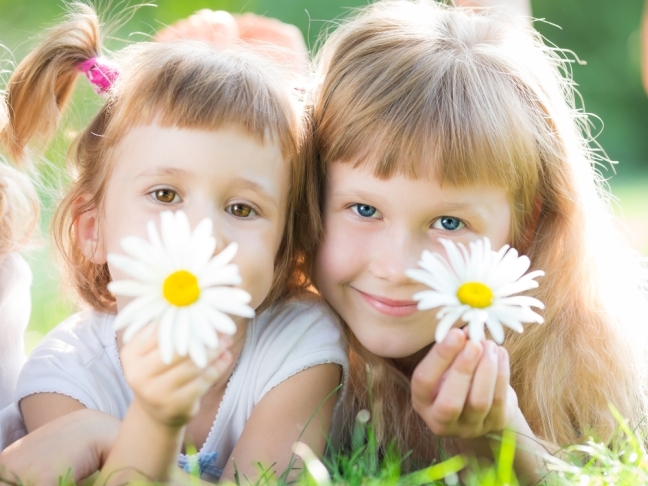 Spring is in the air and your kids can sense it! The urge to be outside and bask in nature is overwhelming, for both parents and children.Take advantage of the warmer weather and the welcome spring together by having a little season-friendly family fun in the great outdoors! Make bird feeder ornaments to decorate the yard. Ready for an easy and fun activity? Step 1: Dissolve 1 package of Knox gelatine into ¼ cup of water. Step 2: Simmer and stir. Step 3: Add ¾ cup of birdseed. Mix well. Step 4: Fill a mold or cookie cutter halfway with the birdseed mixture, pack it down, add in a loop of twine for hanging and top with more birdseed mixture. Pack it down again. Step 5: Put it in the freezer to harden. Step 6: Pop it out of the mold and let it dry on both sides. Step 7: Hang in the yard. Repeat to make as many as you’d like! Step 1: Have the kids break up ten pretzel rods into one-inch pieces into a small bowl. You’ll need about 2/3 cup of pretzels for each child. Step 2: Microwave ½ cup of butterscotch chips on high until smooth and melted. You’ll need to stir them every 30 seconds or so to prevent uneven melting. Step 3: Add a glob of the melted butterscotch to the pretzels and have the kids mix it into the pretzels. Step 4: Have them put their mixture on wax paper and form a little nest. Be sure there is an indentation in the middle. Step 5: Add some jelly beans or chocolate eggs to the nest. Let it harden and serve as a special snack! 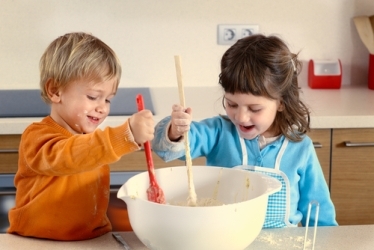 Get the kids involved with spring cleaning. Even the toddler of the house can help shine up the home for spring! Give younger kids an old pair of socks to wear on their hands and let them help dust those bunnies away. Work with kids to sort out their toy collection by dividing toys into three piles: Keep, Give Away, and Toss. Encourage older children to help clean and organize toys and make suggestions on how to keep things clean and organized. Spring is also a good time to implement chore charts and get everyone helping with home maintenance year round. Host a spring scavenger hunt. 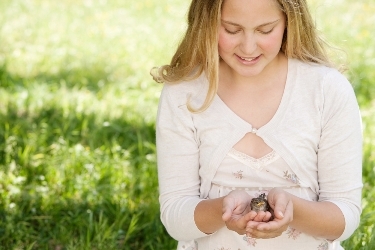 Make a list that includes all the signs in nature that let us know spring has sprung! Think about the signs of spring in your particular region that you eagerly anticipate every year and include these in your list, too! For little ones, consider putting pictures into a small notebook and encourage them to check things off when they see it. Older kids can take photos and make a scrapbook to record their observations. Plant a spring garden of sweet peas, parsley, lettuce and spinach, or plant decorative shrubs, flowers, and perennials. Bring your yard to life with greens as you teach your children where food comes and how to plant and care for a garden of their own. 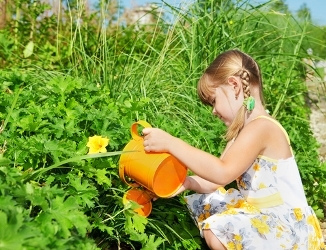 Want more spring family fun ideas?